I really do like this poster.Ã‚Â Anyone know where I can buy one?Ã‚Â I hit up ebay and got no results, and all google seems to have is pictures of the originals, which aren’t up for sale.Ã‚Â I just want a reproduction. Tiki, clicky. I must get one too! And because it reminded me of it, clickty-click. Yep. 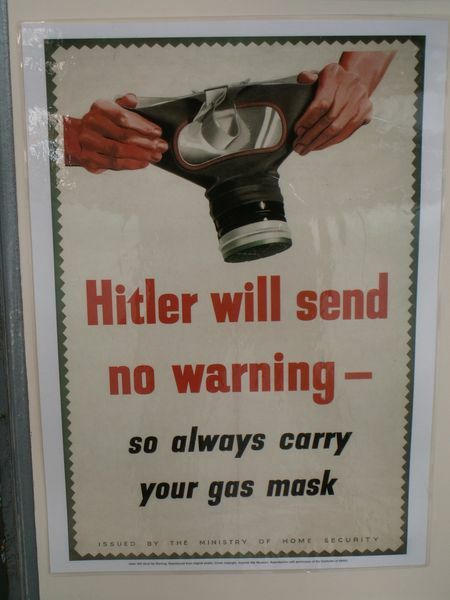 Germans were the first to create nerve gas. There was poisonous gas before, like phosgene and chlorine, but the Germans were the first to make an actual nerve agent. I think it was created in 1938. Fact check for the win. I was close, 1936, with Tabun.